How to Figure Out Your Finger Size, Especially You Guys! How did this happen? In this post I’ll tell you how to figure out your finger size reliably. It’s easier than you might think to get the wrong size when finding out your finger size. 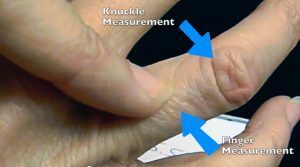 Between not being used to wearing a ring and different widths of rings and finger sizers there are many ways to get tripped up in your quest to discover your proper finger size. Strike one: Titanium can’t be sized. This will make getting Mark a new wedding band in time for the ceremony a necessity. Strike two: Mark was given a wrong finger size and has to get properly sized to solve their problem. Until Mark has a correct size he can’t order a ring with confidence. Make your ring too loose and it ends up buried in the sand at the beach. Or lying at the bottom of your favorite body of water. Make it too tight and you’ve got a major fight on your hands to get it back off. And that awful claustrophobic feeling. Guys are especially prone to ordering a ring size that is too loose. As a Jewelry Blogger, I just wrote a post about it. “Guys, And Lost Wedding Rings, Stop the Madness.” Check it out guys. And next time you’re out and about, see how many married guys are walking around without wedding rings on. Lots! That’s not good. So what’s the deal here? Why is it so difficult to properly measure your finger? I’m going to tell you. First off, get your finger sized by a jeweler who knows their business. Trying to do it yourself with a string or strip of paper is risky, at best. Those plastic sizers that are adjustable that you get in the mail aren’t as accurate as I’d like either. 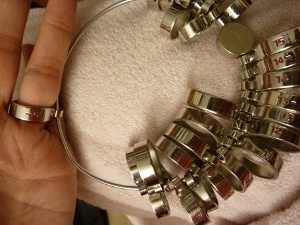 Jewelers measure fingers with metal ring gauges— called ring sizers. 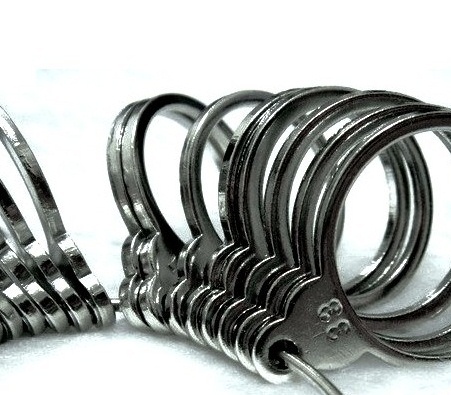 These are sets of metal rings ranging in sequential sizes from small to big sizes. If you’re needing your own ring sizer, go to Amazon. 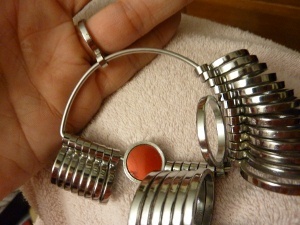 Most people have no idea that there are wide ring sizers for finding the correct size for wider rings. They’ve seen the narrow ring sizers and think that is all there is to sizers and sizing. Small ring sizers are about 3mm in width; wide ring sizers about twice that. Wider wedding bands usually require a slightly larger ring size. You’ll want to use a wide band sizer to ensure a good measurement. 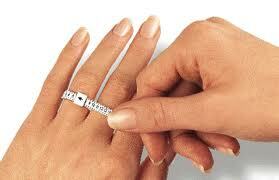 For example if with a narrow band sizer you are a size 8, a narrow ring should fit fine on your finger. But if you are buying a wider band, you will probably need more like a size 8 ½. There is no cut and dried rule that says. “If your narrow ring size is an 8 then your wide ring size is a ½ a size larger.” My life would be easier if there were rules like that; that’s why measuring your finger by a competent jeweler is so important. A good jeweler will figure out the difference between the thickness of your ring shank or band and the width of the ring sizer being used and hopefully guess your size correctly. Do know that if the width of your ring and the sizer is different, it’s a guessing game to get the correct size. Remember too, that all your fingers are different sizes. If you’re right handed, chances are, the ring finger on that hand will be larger than its opposite on the left. This means your rings won’t be interchangeable between fingers. You wedding ring most likely won’t fit properly on any of your other fingers. Our fingers expand and contract due to different environmental factors such as heat, cold, humidity, and our level of activity. Often, our fingers are smaller when we wake up and get bigger as the day goes on. For this reason, getting sized for a ring is usually better done later in the day than earlier. Work out. 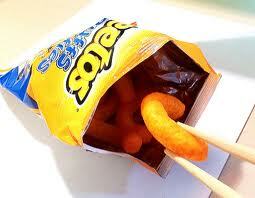 It makes your finger bigger. Eat salty chips or a lot of salt. It makes you fingers bigger. Eat a bunch of apples. They make you lose a lot of water weight, making fingers smaller. Do strenuous work with your hands. It makes your fingers bigger. Fit Feel, What’s Too Tight and What’s too Loose? You may have a particular tightness or looseness that you’re most comfortable with in the fit of your rings. It’s an important thing to know about yourself, because your Jeweler will measure your ring to the tightness they like. It may not be the feel you like. For best results, communicate your fit feel to your Jeweler whenever resizing your rings and when having custom-made rings created. If you guys have never worn a ring before, you’ll gravitate toward a loose fit. Just know that’s too loose for a ring you’ll wear every day. Try on the half size smaller than your comfortable size and see if it’s constricting, or merely more snug. Pick a fit that requires a bit of a tug to get over your knuckle, but isn’t tight once past the knuckle. One more caveat. Titanium and tungsten rings are next to impossible to size. This means if you just have to have one, make absolutely sure that you size your finger perfectly. Five years later, though, when you’ve gained or lost weight and that ring no longer fits…sorry, Charlie. 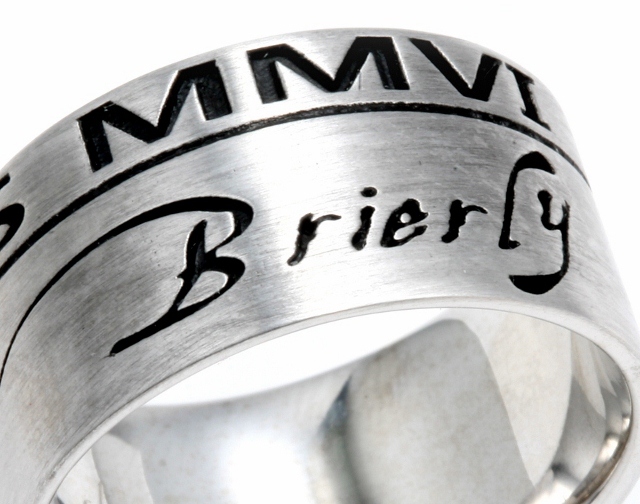 Read my blog: Don’t Buy a Tungsten or Titanium Wedding Band. 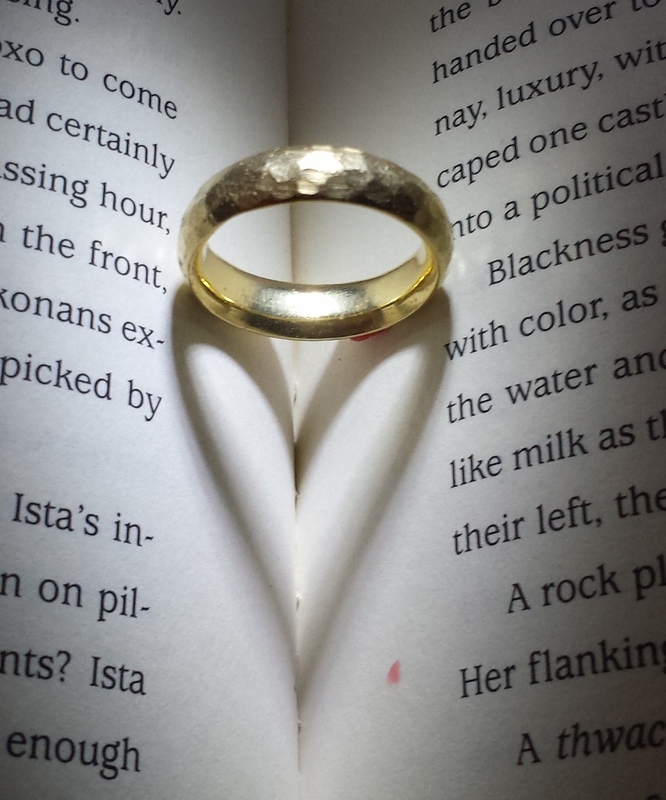 Your Wedding Ring is All About Love, Keep it Near, Keep it Sized Just Right! 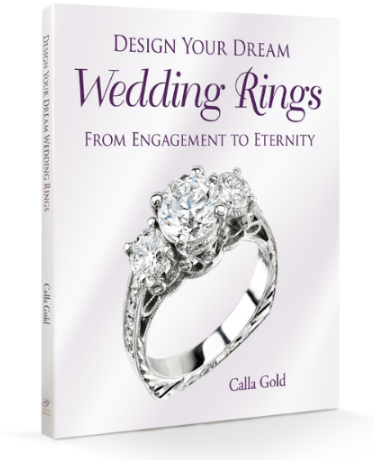 There’s nothing more disheartening than seeing your ring for the first time, whether it’s shipped to you from an online source or from your neighborhood jeweler who just custom made it for you…and not being able to wear it because it doesn’t fit. Get your fingered measured correctly the first time by a professional jeweler. That would be one who has different widths of ring sizers and is familiar with finger sizing. It will save you lots of time and aggravation. In case you wonder what happened to Mark, I measured his finger properly and rush-made a white gold wide wedding band and he made it to the church on time! Very interesting! Thank you for sharing the good bad and ugly behind ring size and proper measurement. Can’t tell you how many rings I have lost over the years, too many apples, I guess. Nice save on Mark’s wedding band. Cheers! This is such useful information for me as a matchmaker. Now I know what to tell all my matched clients what to do and not to do when sizing for their wedding rings! I wouldn’t even think to do it myself. 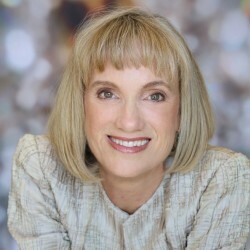 Thanks Calla Gold. Do you have any other helpful advice on picking or dealing with engagement and wedding ring choices? Great tips! It’s nice to know how the finger sizing should go. When I’ve handed my hand over in the past it reminded me of going to the Doctor, they know it all and you’re in the dark. Calla Gold, thanks for shedding the light on finger sizing. Great article! I had to replace a lost ring I’d had for years and discovered more than I ever thought I’d learn when I entered “jewelers and ring sizing” when searching online for information. I went to your online article – “wide bands v narrow bands”, and discovered how heat and weather effect the size and on and on… But I never found an article as clear as this one. Wish I’d found it before my baptism in finger fitting had begun in earnest! Can a jeweler size a ring up 1/8 size? My ring was a size 5 but was too big so it got sized down to a 4.75 but now it’s too tight–I have to wet my hands and put soap on them to pull the ring off over my knuckle. I don’t know what to do. That information on how guys are about the size of their rings and how to get their size correctly helped me a lot. Thank you so much. I have a question. What is considered a professional jeweler? What are some examples? Thank you so much for your help. I made the mistake you had said not to in the blog. I was gonna fix it, but it was from past. I really don’t need that ring anymore. I should just sell it or pawn it.